After a few years of teaching how to deploy MapSAR Online,Alix Vezina and I decided it was time to open up the no-cost training to a much wider audience. In this lesson, you'll create a web map to prepare data for search operations. Your map will contain static base data showing regional boundaries and key features, as well as editable layers that can be changed as an incident develops. Then, you'll use the map to create a web app that even non-GIS professionals can use. Finally, you'll use the app to track a fictional SAR mission. This will give a GIS professional a basic understanding of search and rescue OR a SAR professional a basic overview of how ArcGIS Online works. 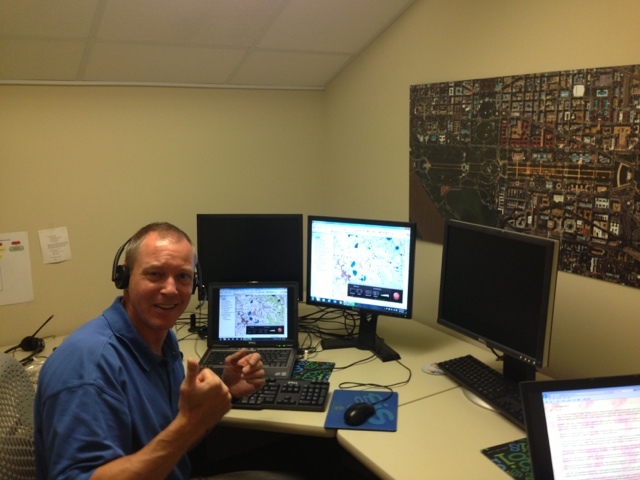 The app you create is using Web AppBuilder for ArcGIS. 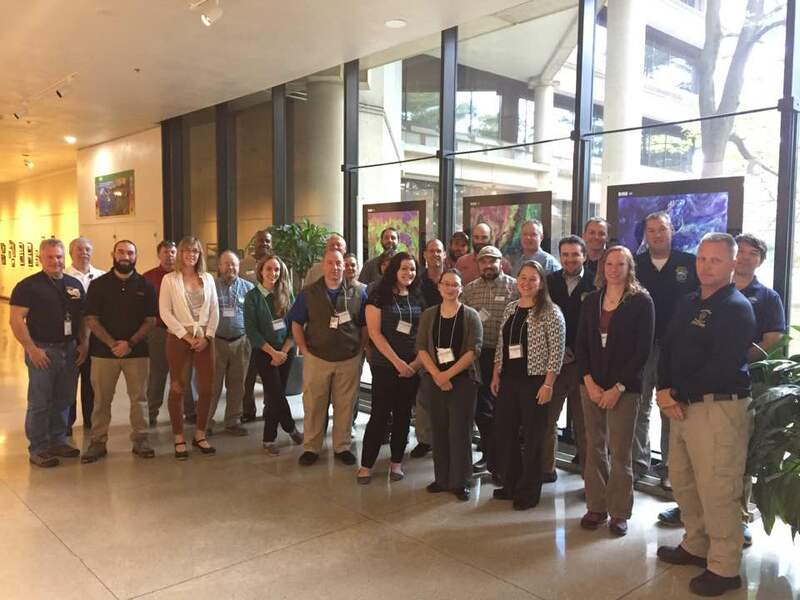 On November 6-8, 2017, NAPSG Foundation’s Search & Rescue GIS Working Group gathered with more than 50 Search & Rescue (SAR) leaders and GIS responders at the Esri Office in Broomfield, Colorado, for the highly anticipated 9th Annual Search & Rescue GIS Workshop. We had a diverse array of presentations from across Local, State, Federal, and Volunteer organizations. MapSAR has been a great ArcGIS Desktop (ArcMap) tool for the past decade. However, we recognize the need for easier to use tools that can be used to collaborate across organizations. That is why have started a new initiative called, MapSAR Online. 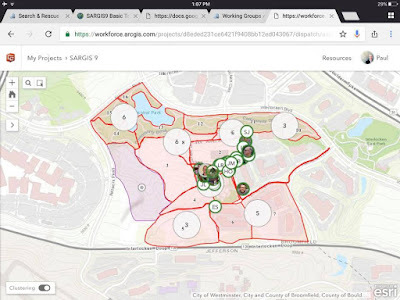 MapSAR Online was used effectively at SARGIS9 and everyone left with the capability of providing their team with a situational awareness viewer. Here is the app we used for training - each person created a quick hasty map for their area of responsibility and learned how to build a similar app for their team. It was awesome to see the map light up with Incident Command Posts across the US within a minute of accessing the app! As a result of this training and exercise, the SAR Working Group will be working hard to roll out MapSAR as a combined ArcGIS Pro, Online, and Field template for organizations who want to quickly get up and running with geospatial tools. In the meantime - see the training website for currently available resources. We also had an outdoor field exercise to test the concepts of using geospatial tools for planning, operations, field mobility, and situational awareness.This was also a great opportunity to work directly with software development staff at Esri to provide feedback on field apps like Workforce for ArcGIS. This was the first time we had a combined wildland / urban search and rescue theme which allowed for greater collaboration and learning. Find out more about who was there and where they are from with this Story Map below (open in a new browser window if needed). What can you do next to help your organization? This basic training event was meant to give you an awareness of tools that are available and for you to self-assess your level of preparedness with geospatial decision support tools. 2 Adopt and Implement the US National Grid as a point and area reference system towards achieving consistent situational awareness across agencies and levels of government. 3 Use Standardized Incident Symbology and explore & use national infrastructure data available through HIFLD Includes standardized symbols for Search & Rescue. This was an extremely fun and rewarding event. Best of all, thanks to the NAPSG Foundation and Esri, it was provided free of charge to participants and everyone left with new capabilities regardless of skill level with GIS. We would like to continue to host these events and provide tools like MapSAR - but we need your help! While our target audience has always been field practitioners and GIS Specialists, we need buy-in from decision makers to further invest in the use of geospatial tools for SAR. 1) Host a local event using the free training materials. 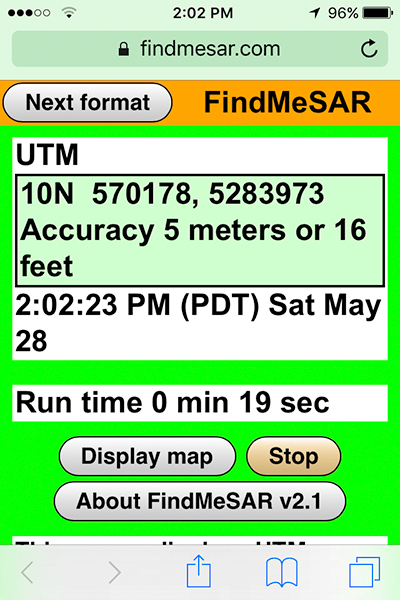 Stay tuned for more details on SARGIS10 and MapSAR development! 2) Speak with your County / State SAR Coordinator about the importance of geospatial tools in all aspects of search and rescue (Presentation). 3) Join the SARGIS Community! This is a blog post to explain how to embed a public map. 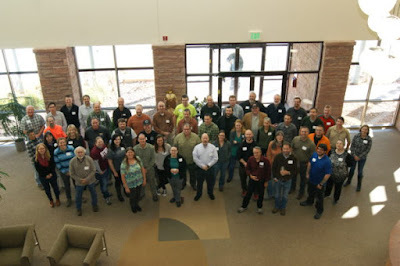 On February 8th, 2017 the NAPSG Foundation provided a virtual workshop for the Montana Association of Geographic Information Professionals (MAGIP) and local search and rescue team members. While MAGIP attendees attended on-site (Bozeman, Montana), they also extended the invitation to the Public Safety GIS and SAR Community to attend via WebEx. You can watch this presentation here via WebEx video. The objective of this presentation was to foster exchange between the Geospatial Professional and Search and Rescue Communities by providing an overview of capabilities with geospatial decision support tools and building a common language. We feel we have achieved this objective. 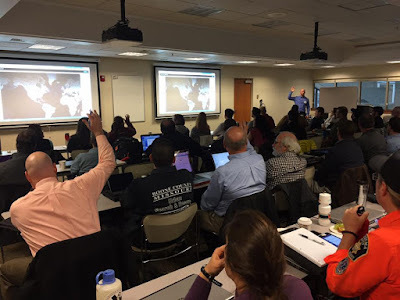 As a result of this event, the local SAR Teams and GIS Professionals plan to meet more regularly, share data, and train on using geospatial decision support tools for search operations. 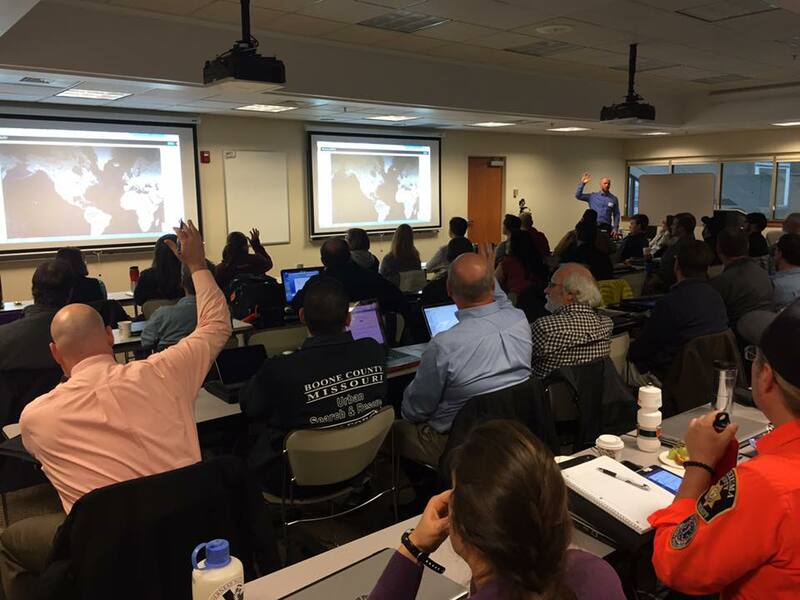 In addition, the audience agreed they would like to participate in future SARGIS workshops, including the 9th Annual Search and Rescue GIS Workshop (SARGIS9 - November 2017, Rocky Mountain Region). For information about GIS for Search and Rescue and to begin developing geospatial decision support tools for your SAR Team, see the Wilderness Search and Rescue Capability and Readiness Assessment Tool (CARAT). Special thanks to Curtis DeVault of MAGIP, Angela Pervél of NAPSG Foundation, and Don Ferguson SARWG Co-chair for helping to make this event possible despite my crazy schedule and presenting remotely from New Zealand. Resources from #SARGIS8 now available! From November 14th through the 16th, 2016 the National Alliance for Public Safety GIS (NAPSG) Foundation brought together more than 75 of the Nation’s Search & Rescue (SAR) leaders and GIS professionals for the 8th annual Search & Rescue GIS Workshop. The content available should be of interest to anyone interested in maps, GIS, public safety, or search and rescue so please do share.